Have you dieted before just to gain the weight back and then some? Are you lacking motivation because you’ve failed at losing weight in the past? Are you feeling defeated trying to lose weight and keep it off? Being overweight is not your fault. Many people struggle to lose weight and keep it off due to hormonal changes that occur when losing weight. The team at Iowa Weight Loss Specialists believes that weight loss is more complex than simply eating less and exercising more. Is Iowa Weight Loss Specialists Right for Me? A Nurse Practitioner will monitor your medical conditions and work with your family doctor. They will review your medical history and your medications to address factors that might be contributing to your weight. They will review your health and diet history, identify and address potential nutrition barriers, and provide individualized nutrition education to help you start making healthier food choices. 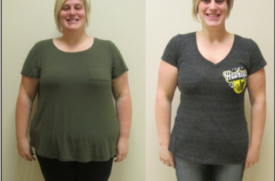 Depending on your needs and barriers to weight loss, you may be referred to other specialists including behavioral health specialists, physical therapists, an exercise specialist or the surgical team at Iowa Weight Loss Specialists. Medical weight loss is typically covered by your insurance, meaning you are only responsible for your insurance co-pay. You will follow-up with the team every 2-4 weeks in order for them to individualize your weight loss plan and monitor your progress. Attending follow-up visits is encouraged for accountability and support in order to achieve healthy weight loss. The team will take a detailed look at your body composition by using the SECA scale including: hydration status, body fat percentage and total muscle mass. You will complete a metabolic test to determine your specific calorie needs based off of how many calories your body burns at rest each day. Weight loss medications may be an option once your medical history and barriers to weight loss are addressed. By taking a real food approach, the team at Iowa Weight Loss will teach you to make healthy food choices for a lifetime, not just for a few weeks or months. 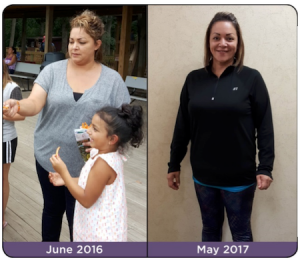 Click here to read more of Jessica’s story & other success stories. Making small changes over time can lead to healthy weight loss and long-lasting health benefits. So what are you waiting for? To find out more, visit Iowaweightloss.com and call the office at 515-327-2000 to schedule your first appointment.